September can be a bit of a risky month to go camping in England. Or for a day out. Or to the corner shop. 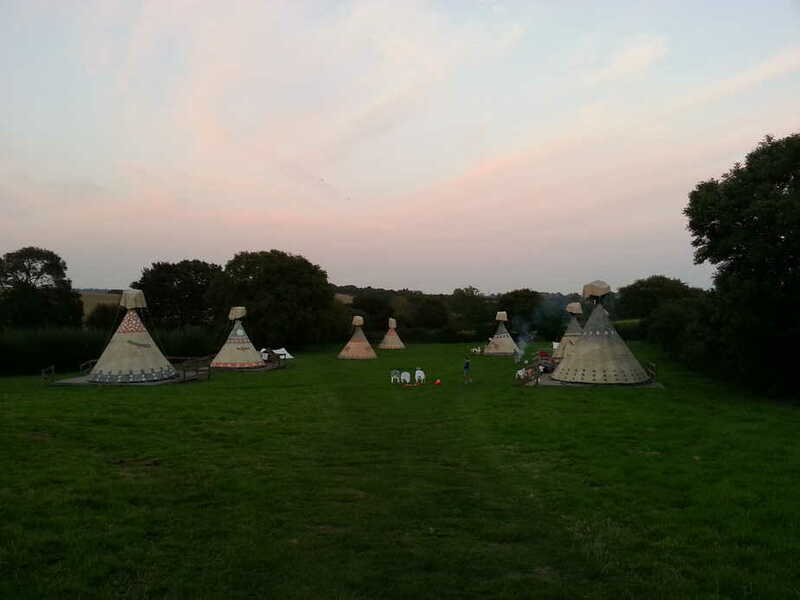 Anyway, rain is likely, but last year we fancied doing something a bit different for a few days, googled ‘glamping South Downs’ and came across Big Sky Tipi Holidays whilst perusing the tinterweb. We had ruled out camping with kids because of the rain, and because I don’t like being cold, and because Patrick has been with me long enough to know that happy wife = happy life. 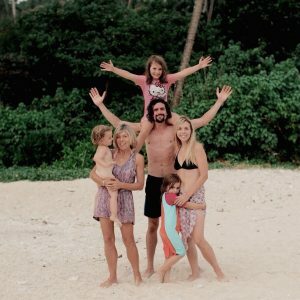 However, compromise is next to godliness (or something like that) and the kids had always wanted to go camping. Frankly I was getting tired of hearing about what a terrible parent I was for forcing them to sleep in soft beds with downy pillows, in warm houses and hotels with solid walls and for never giving them sausages with a black carbon crust, so I did the right thing and booked the darn holiday. 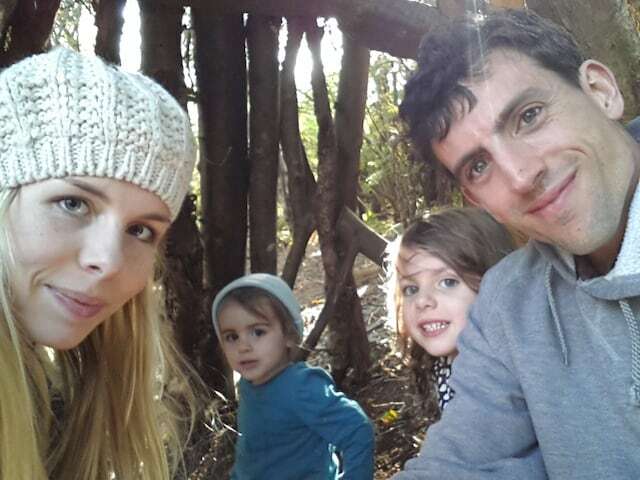 We were going glamping with kids. Honestly, I was dreading it. There isn’t an option on the Mac for emphasising how much I hate being cold, so italics will have to do. I was convinced that I would freeze, I was not remotely sold on the notion of ‘glamping’ and considered the term an oxymoron. It would be a week doing housework with none of the convenience; or so I thought. We arrived in the evening, having been surprised by how little time it had actually taken to pack the car, as pretty much everything we needed was provided at the site. Cooking utensils, crockery, a little stove, beanbags and a covered picnic table were there, and the site owners had very kindly left a bag of freshly cut firewood next to our tipi for the campfire. Inside, I have to admit, I was pretty impressed. The tipi was huge and gorgeous. Furry rugs covered the floor, a large double bed stood in the middle and soft bean-bag type single beds for the kids were at either side. 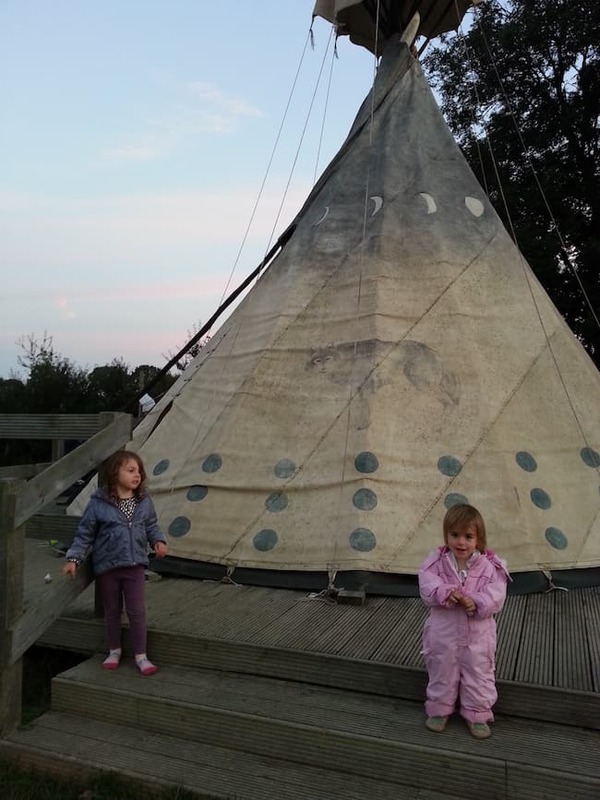 It had been decorated to look like an authentic tipi, with tribal-patterned blankets covering the furniture and a rustic wooden trunk for bits and bobs at the end of our bed. There was a double layer of thick fabric that zipped up over the door at night so we could keep snug. It was brilliant, and made even better by the arrival of one of the site owners and his lovely dog, who had come to bring us some of their locally-sourced bacon and farm eggs. We were given a giant wheelbarrow so that we could bring our luggage to the tipi, and of course the kids clambered straight in. After a supper of ‘pan-sizzled sausages with noir carbon-crumb crust’ (burnt bangers if you’re from London), Patrick set about the manly-man task of making a campfire. I had envisaged a quick spark of the trusty firelighters and an evening snuggled with the kids, talking about constellations and generally feeling smug that I was Doing Camping, but Patrick seemed to have other ideas. Out of his pocket he pulled a silvery rock, what looked like a stick of black chalk and some fuzzy dry moss. I had to ask. Ok it’s just one picture. Because all the others are exactly the same, except his bit of tinder gets smaller and he starts frowning more. Which is when I helpfully stepped in. We repeated this each evening until the last night, when the normal matches had run out. Patrick produced yet another flammable treat- something that looked like a giant pencil sharpener filled with chunky matches the size of toddler crayons, which turned out to be weather-proof matches. The idea was that you could dip them in water and they would still work, which was all rather good fun until I struck a match against the box and accidentally set the whole thing on fire, leaving us without a campfire for the last night. What can I say. 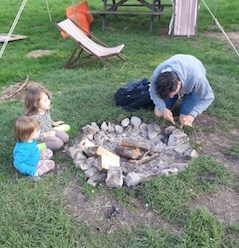 Apart from exploring the boundaries of our patience with fire-related activities, we had a grand time on our Sussex family glamping holiday. We found loads of things to do in Eastbourne with kids and had lots of fun exploring the area. 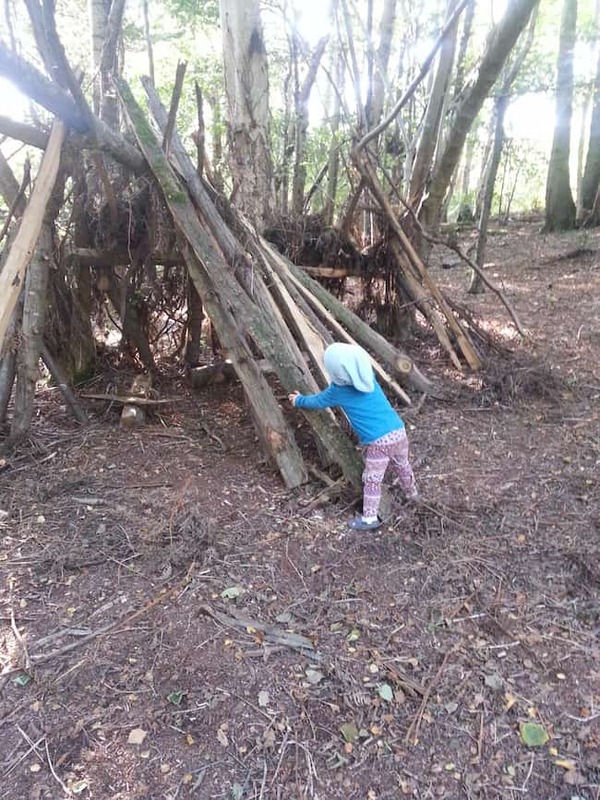 The tipi site is set in beautiful woodland, in which we found a den that some young whippersnappers had evidently left from a previous trip. 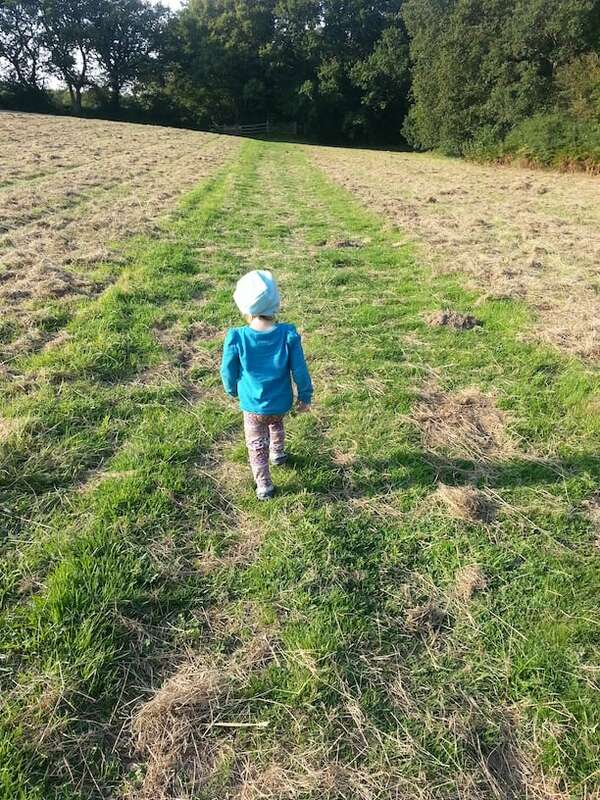 Despite my initial misgivings about camping with kids in Sussex, (alright, ‘glamping’), it was really lovely to take a slower pace of life. Everything takes a bit longer- cooking, getting ready in the mornings, washing up- but is a great opportunity to just savour each moment and be present. Eating breakfast together at our picnic table as the sun started to warm the dew; huddling around a (hard-won) campfire with marshmallows; cuddling up together in the evening and drifting off in the same tipi- it was all lovely. 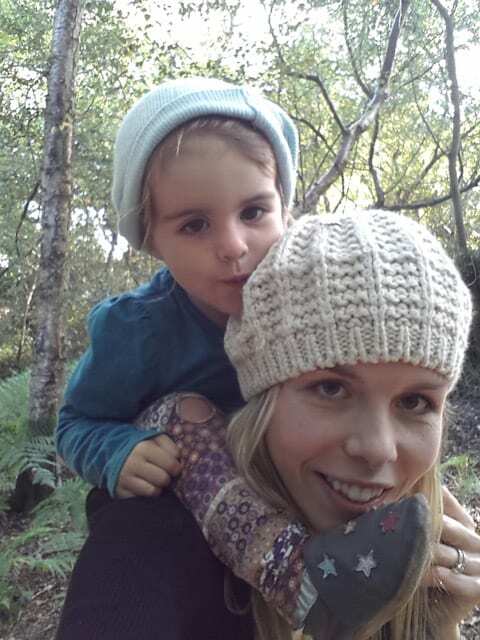 Relaxing isn’t exactly the right word- I was pregnant with Elfie, and having to go out in the dark to pee has never reached my Top 100 Things To Do Before I Die- but it made it there anyway, and I am none the worse for it. 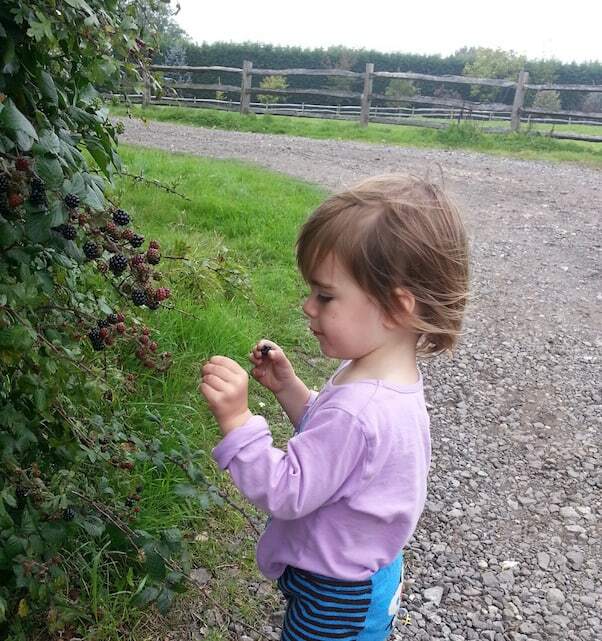 Glamping with kids is is a great way to introduce them to camping- or perhaps I should rephrase that to ‘it’s a great way to take your kids camping if you are a wimp’, or if you like a bit of luxury.